Being a netizen, I don’t think you are unaware of VPN. Yes, most people use it for encrypting web traffic and to access regional locked services. Yes, Spotify is one of them. But searching for a free or paid VPN will reveal a number of choices. Which one should go for? Do all the VPN services work in the same way? Do they treat the user data in the same way? In such cases, you can go for the VPN service which is the most affordable for you. But all VPN services are not the same. I have already discussed the top VPN services in one of my articles, you can read it here. Today, I will discuss the ways to find out the best VPN service for yourself. See, there are differences between the services. It is quite obvious that one will be better than the other. But you should choose the best cup of tea for yourself. Here, I will discuss the most significant things which you should check before opting any VPN services. A free VPN with unlimited bandwidth, (hardly found nowadays though), can be a boon for you. But wait. Read this article till the end, and then take your decision. It is by far the first thing which you should check. Most guys use VPN services to trick the blocked websites and access them from their country. Most premium VPN services come with a wide choice of geographical locations. But you should go for the one with at least 20 to 25 locations if you are a power user. It can also be useful to change the IP address from time to time to available some necessary services. Thus, before grabbing a deal, always have a look at the number of geographical locations it offers. It is one of the most important things. But most people do not consider it to be important. But do you want a great and hassle-free connection? If so, you should definitely go for an OpenVPN connection which offers better security. You can even get better security, speeds and encryption levels. OpenVPN is not available for Android and iOS though. In such cases, you can go for PPTP protocol. Most of the VPN services come with both options. Thus, wait before giving your hard earned pennies. Make sure you check the protocols, which are supported by the VPN service. Though, if you are getting a good deal supporting PPTP protocol you can go for it. But I will recommend you to use it for some basic tasks. Refrain from using it for payment or any other sensitive tasks. Limit it to protecting your traffic while using public Wi-Fi or something like that. For how many devices do you want to use your VPN service? Most users want to pay for a single VPN service and get the service in multiple devices. That is quite normal. If you are one of them, make sure the VPN service you going for is supported for the platforms all the platform you have. It should have support for Windows, Android, and iOS at least. Availability for a particular browser though is an extra gain. 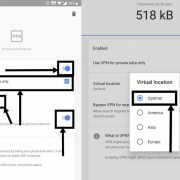 You should also make sure you have the permission to use the VPN service at the same time on the three devices as well. All such information will be available at the time of purchasing the VPN service. One of the basic reasons you want to use a VPN service is to encrypt your traffic. It will surely hide your data from your ISP. But there is somebody, who knows what you’re doing online. Yes, it is the company offering you the service. All VPN companies do not treat your data in a similar fashion. Thus, if your data is really sensitive to you, make sure your data is in safe hands with your VPN service provider. Before paying, go through the terms and conditions properly. I know it is boring. But such a small step will surely keep your data in safe hands. If the policies are not see-through, better go for a different VPN service. If you agree with the ways, the VPN Company treats your data, you are good to go. No doubt, it is important. There is no use of VPN service if you have to linger on a single page with a slow speed. Thus, before paying for a VPN connection make sure they are offering you good speeds. 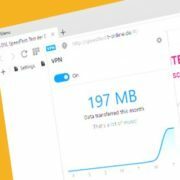 You can also check the reviews of the VPN service on different websites to get the idea of the actual speed offers by it. However, VPN services offering better speeds will also be priced high. That is quite normal. But it is at least better to pay a little more than lingering on a single page for hours. 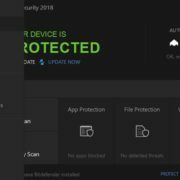 Do you want to access Netflix or Spotify with a VPN? Or want to access anything which is not available in your country? There are a number of IP addresses which are blacklisted by certain companies. In such cases, if you are going to access a particular website with the help of the VPN, you might regret. Thus, before going for a VPN service make sure you can access your favorite service with the help of the VPN connection. You can get all such information by reading the reviews or by talking with the customer service of the VPN Service, which you are going for. Yes, it is a final thing. If you are getting all the features mentioned above according to requirements, the price might be high. Thus, it is equally important to check a VPN service provider within your budget. A good VPN service, which treats your data in a respectful way might cost high. But it is worth paying, as I already said. Try to maintain a balance between your budget and requirements. There is every possibility, you will not get all the features mentioned above in a single VPN service. But you should always go for the best. If you need to compromise a little bandwidth for better privacy, go for it. If you want to access the VPN service from a single device, you might not pay importance to whether it is available for other platforms. It all depends upon you. The article was meant for giving you a basic idea of choosing the best VPN service to make the investment worth. And yes, you should also go for a VPN service which offers a good customer support. Hope the little information on choosing the best VPN service was helpful for you. While getting anything for free, you might compromise a few things. But when you are paying for it, I will definitely recommend you to take some time checking all the minute details of the VPN service. Hope you work will be simpler, next time you purchase a VPN service. Which one is your favorite VPN service? Surely let me know about it in the comment section down below.